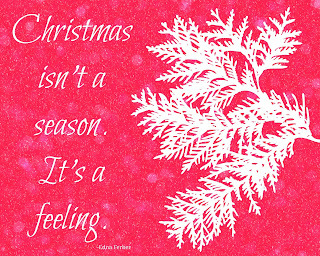 CJO Photo: Printable Christmas Art 8x10: Christmas Isn't a Season. It's a Feeling. Printable Christmas Art 8x10: Christmas Isn't a Season. It's a Feeling. Click here to download your FREE 8x10 JPEG version!